Make the arrival of a new sibling an exciting and memorable time for the big brother-to-be with this thoughtful gift duo. 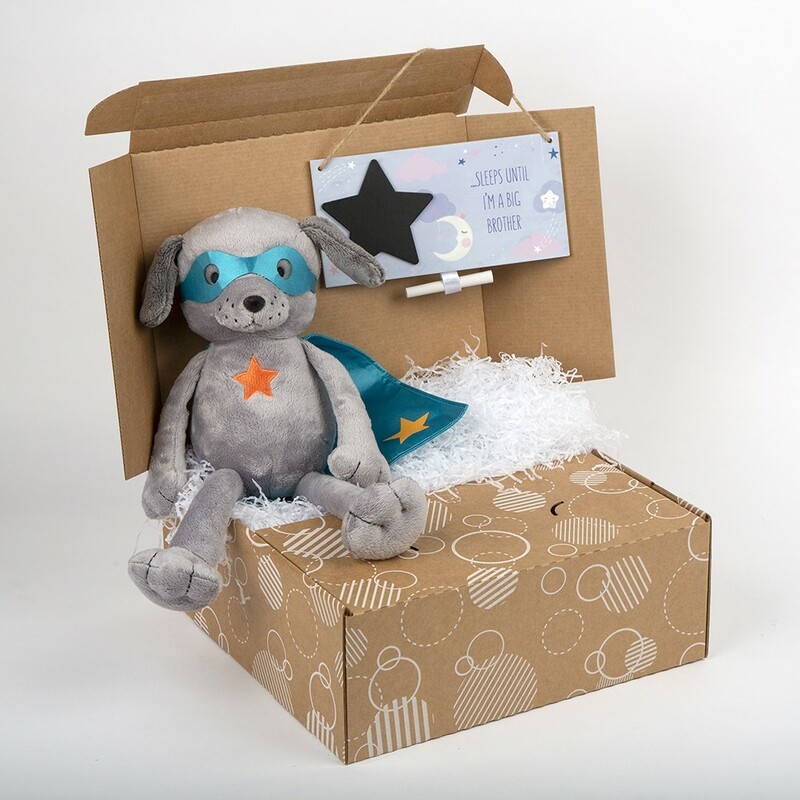 Featuring a countdown plaque and a loveable super hero toy he will feel very involved in the lead up to the birth of his new baby brother or sister. Make the arrival of a new sibling an exciting and memorable time for the big sister-to-be with this thoughtful gift duo. Featuring a countdown plaque and a loveable super hero toy she will feel very involved in the lead up to the birth of her new baby brother or sister. 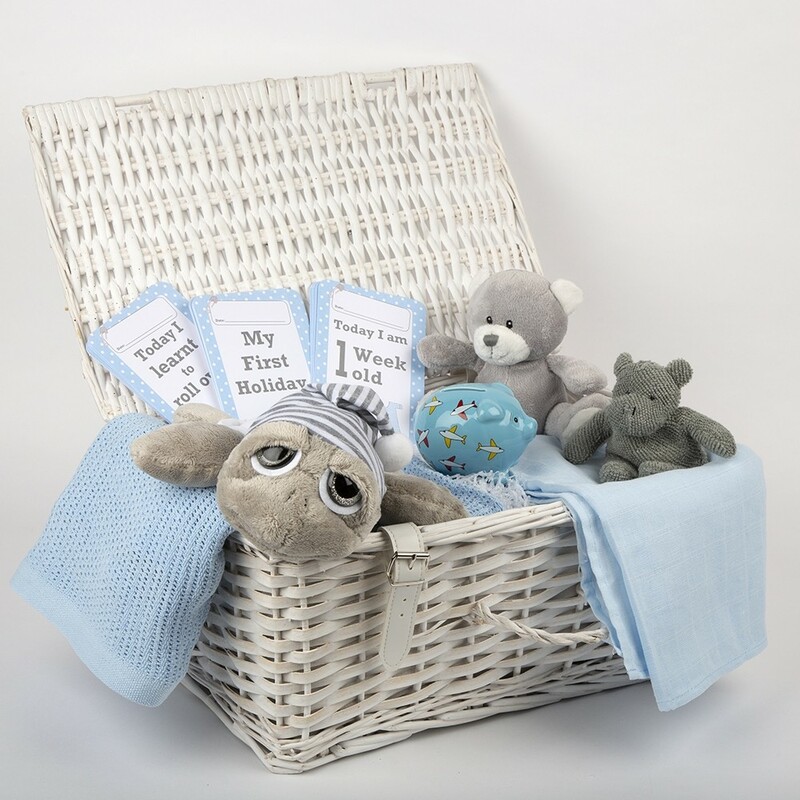 A gorgeous new Baby Boy is on his way or has arrived and what better way to say ‘Welcome to the World’ than with a wonderful hamper overflowing with beautiful presents? 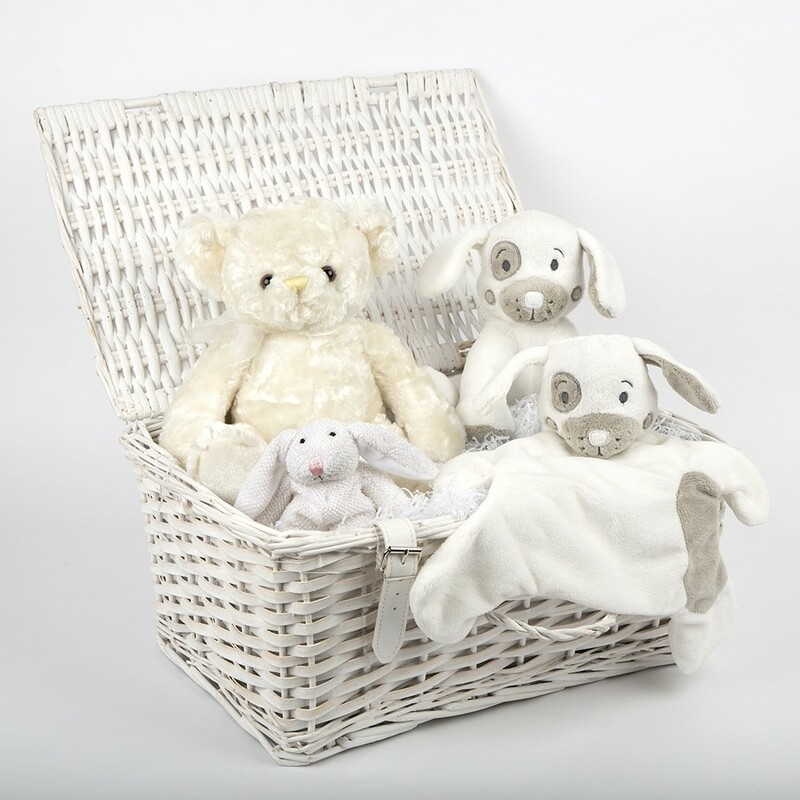 All gifts are safely packaged in a white washed hamper basket with front handle and white leather style straps with silver buckle fasteners. Parents will love this just as much as Baby loves the contents! 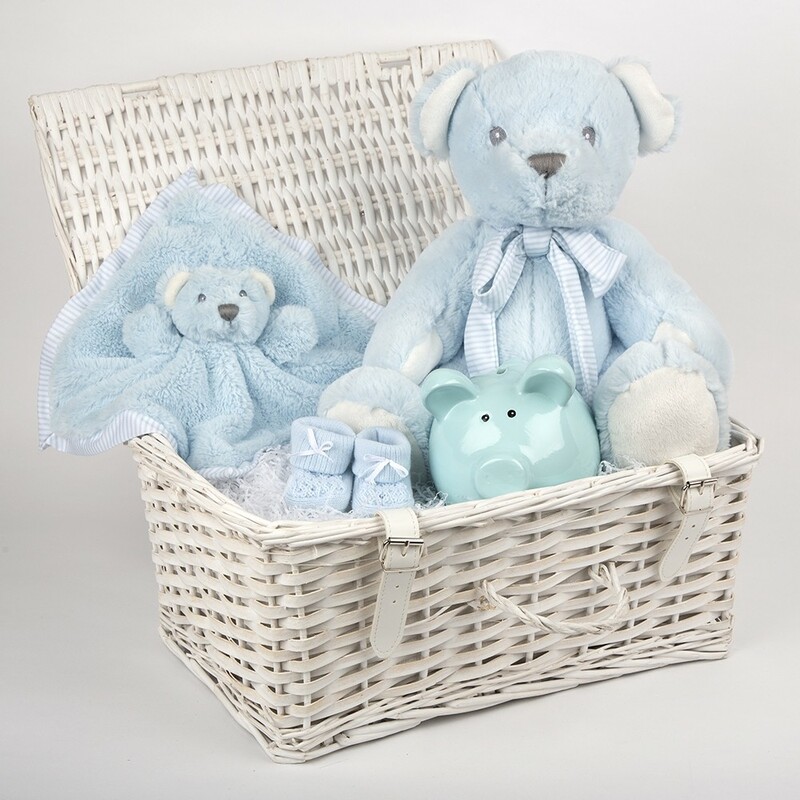 Ideal for nursery decoration and storage or use as a keepsake box.